As the crossover SUV segment of the auto industry continues to be one of the most popular choices for an automobile, the competition has become very fierce. 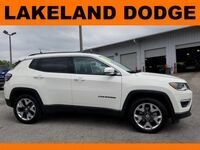 If you’re looking for one that can offer you an incredible list of qualities at a budget-friendly price, the Jeep Compass in Orlando, FL is an excellent choice. 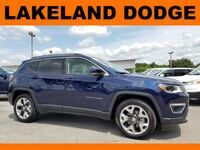 The Jeep Compass is a compact crossover SUV that offers a perfect blend of versatility and capability and is available in four different trim levels that give you a great mix of technology features and comfort options to choose from. The four trim levels available in the Jeep Compass lineup include the Sport, Latitude, Limited and Trailhawk. 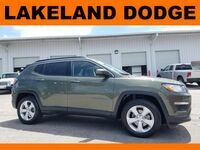 With such an impressive list of high-tech features and options to choose from as well as the availability of all-wheel-drive, a used Jeep Compass checks all the boxes for a used crossover SUV. The Jeep Compass is a great performer on and off the road. 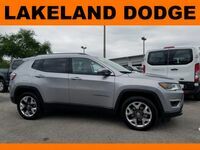 While the Jeep Compass does give you an incredible amount of versatility and capability, it also offers a great number of high-tech gadgets and luxurious comforts items to choose from thanks to its four available trim levels. 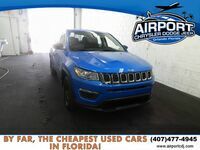 If you want to get behind the wheel of a used crossover SUV that has it all at an affordable price, the Jeep Compass in Orlando, FL is an excellent choice. 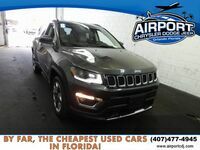 The impressive list of available technology features and comfort options offered in a used Jeep Compass can include items such as a navigation system, sunroof, power liftgate, touchscreen infotainment system, satellite radio, automatic dual-zone climate control, heated front seats, leather upholstery, remote engine start, keyless ignition and entry, USB port, premium audio system, Apple CarPlay™, Android Auto™ and much more.